Browse and choose the design that you like. 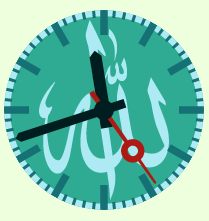 Most of the islamic web clock widgets below are customizable. You can set the size and look or color of the clocks to match the layout of your blogs or websites. Our previous collection of clock widgets were based on Flash-technology. These widgets are now deprecated because they are not automatically supported by newer, modern browsers due to security concern. What do yo think about this service? Have your say! Have question?